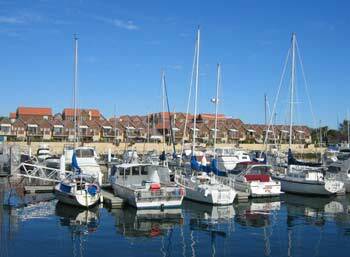 The Hillarys is part of Perth's famed Sunset Coast. A stone's throw away from the city (about 20km), The Hillarys is home to the kind of coastal life that would make any salty old sea dog pine for dry land. It has a gleaming boat harbour filled with an array of sleek yachts and high-powered speedboats, lined up nicely on the edge of the Indian Ocean. Surrounding the harbour is the village-style complex of Sorrento Quays comprising a precinct of eateries and shopping outlets. The beach that sits on the other side of the complex has lovely refined sand and even on a Winter's day, a handful of sunbathers can usually be seen making the most of the rays. There are some posh European-style harbour side apartments that, judging by the location, are probably worth a bob or two. Along with the trendy cafés and ornate-looking boutiques, there's a general air of lavishness to the place. At the same time, it does not come across as pretentious and you don't feel like an outsider if you walk along the jetty in the wrong clothing labels. Posh Apartments by The Hillarys Boat Harbour. We walked around the harbour and stopped to have some lunch in an Italian restaurant. We spent a relaxing few hours there, sat by the window eating our delicious food, watching the stationary boats and people milling around in the sun. Everyone seemed to be eating ice creams. It's difficult to believe that it's Winter - ice creams and Winter are two words that simply do not go together back home! Once we'd let our lunch go down we, too, took a stroll around the complex holding a cone each. It was a nice way to end our trip to the seaside. On the way home, we drove over to Greenwood to look for a Kombi. We're not looking to buy another one but there is one particular Kombi that we'd like to see if she is still around. Ian's brother, Andy, came to Australia five years ago as part of his round-the-world-trip. He loved the place so much that he stayed on for another four years. Like us, he'd bought a VW Kombi when he arrived, which he named 'Winnie'. According to Jase, Winnie is still in Perth and gave us directions on how to find her. We'd done some background work (i.e. driven around the estate five times, probably much to the amusement of the Neighbourhood watch lot!) yesterday afternoon and finally located Winnie's pad. But on both occasions, she was nowhere to be seen. Had they moved? Were they on holiday? Had she been sold? So, Ian decided to go to the door and ask. Mmm ... no-one at home. Were they at work? We decided to leave this for another day. On the way back to Ethel, Ian passed a couple of young lads. One of them said 'hey dude' in a cheery manner, while the other was probably dying of embarrassment. Anyhow, Ian replied, 'you alright then?'. 'Yeah dude,' was the response he got and as soon as Ian was out of earshot - or, so they thought - Ian heard one of them whispering in a self-assured tone, 'He's Scottish!'. Yeah, right island, wee lad, wrong country! In fairness, we couldn't tell the difference between a Queensland and a Tasmanian accent, but Scottish? Ian? I think not!